Barbecue: All contestants and guests are invited to the TOC Barbecue at Clarkston G&CC at 6:30 pm. Contestants meal is hosted by WJGA, guest meal tickets are $TBA. 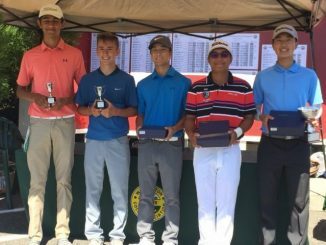 Boys 16-18 winners R to L; Ryan Park, Drew Halili, Jordan Lee, Cameron McCauley and Gyan Bains. Boys 12-13 winner! R to L; Ethan Evans, Jordan Medcalf, Isaac Elaimy, Logan Medcalf and John Kim. Girls 12-13 winners! L to R, Susie Tran, Angela Park, Malia Schroeder, Gigi Lund, Kasey Maralack, Mikaela Ikeda, and Amber Li. Girls 14-15 winners, R to L Gihoe Seo and Hannah Elaimy. Julia Bordeaux missing. Boys 14-15 winners R to L; Jahan Bains, Wesley Salimian, Preston Bebich, Austin Guske, Conrad Brown and Mats Lund. 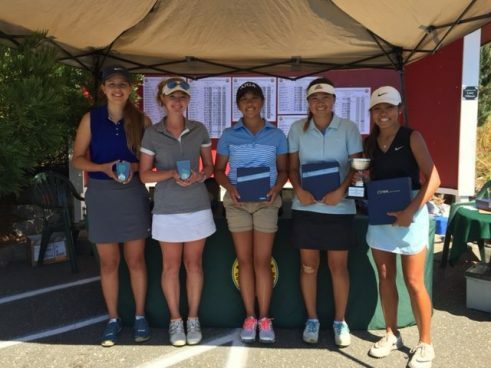 Girls 16-18 winners R to L; Alyssa Nguyen, Cassie Kim, Samantha Hui, Ella Warburg and Katie Kester. 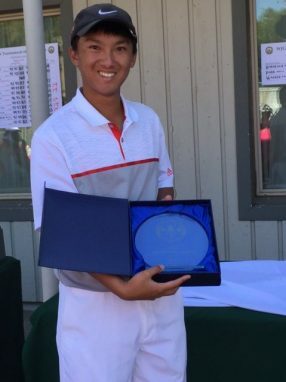 Travis Kay celebrates overall victory at inaugural TOC! Horse Race winners! Winning team; Palmer Guhlke, Ben David, Serena Nguyen and Josef Koznek! Runners up, Parker Kneadler, Mats Lund, Kaysa Panke and Andrew Martin! Susan Prugh and Tyler Johnsen measure putt distance before horse race elimination. 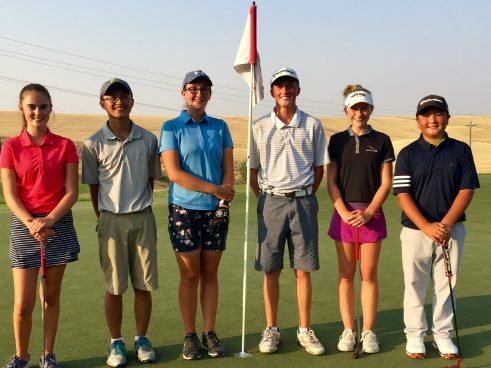 The inaugural WJGA Tournament of Champions was held at the private Clarkston Golf & Country Club in Clarkston, Wash. Clarkston G&CC has hosted two PAC-10 Conference Championships as well as several PNGA regional championships. 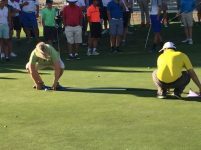 Play was over 36-holes of individual stroke play and final results were submitted to the AJGA and Junior Golf Scoreboard for any potential star and ranking points. In 2016, WJGA 12-17 year olds (a player’s age was determined by the age the player is on June 1st, which is the same criteria used to determine the players age for the regular WJGA season) that meet any of the current year qualifying criteria are eligible to register. Starting in 2017, the WJGA Board of Directors has approved a new policy for a players age (18) and the date that age is to be determined (August 1). 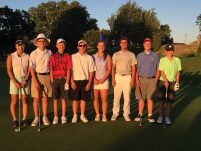 The new policy is that a players age will be determined by the age the player is on August 1st and WJGA will now expand to allow 18 year olds to play in our program.